The Chocolate Milk Futsal Cup, previously known as the Michigan Futsal Factory Academy Invitational, will be relocating to Washtenaw County for 2017. The youth futsal tournament slated for December 8-10, will include 30 divisions with up to 20 teams per age group, with matches being played at Saline Area Schools, the University of Michigan-Sports Coliseum, and the University of Michigan Intramural building. "Futsal has exploded in the states, especially in the Midwest. More players and clubs are starting to play futsal and understand the value of it. I look for our tournament to continue to grow and expand over the next few years to become one of the biggest in the nation. We’re thrilled to be able to partner with the United Dairy Industry of Michigan and Ann Arbor Sports Commission behind us. Bringing our tournament to the Ann Arbor and Saline area will be a huge win for everyone involved, and I'm glad to be able to support the economy of the county I now call home myself," said executive director Drew "Ducks" Ducker. Participants will be coming from all over the state, the Midwest as well as some teams from Canada. Boys and girls divisions will host a range of ages starting as young as seven going up to eighteen. "We are proud to partner with the Chocolate Milk Futsal Cup as part of our broader efforts to support youth athletics in our state," said Melissa Gerharter, Manager of Sports Nutrition for United Dairy Industry of Michigan. "UDIM is especially focused on teaching young people how important it is to think about how the food they eat impacts their overall health and the role dairy plays in a nutritious diet; it's why we work with Fuel Up to Play 60, offer chocolate milk grants to schools, donate milk to local food banks, and more." The weekend tournament includes a number of additional activities including a social event at Revel and Roll on Friday evening in addition to a semi-pro futsal match at Saline High School on Saturday night. In addition to partnering with the United Dairy Industry of Michigan for naming rights of the youth tournament, the cup has also partnered with the Ann Arbor Sports Commission as the presenting sponsor. The tournament is expected to bring at least 500 hotel room stays to Washtenaw County and will have great economic impact on the region. The Michigan Futsal Factory Academy Invitational started four years ago (renamed to Michigan Futsal Factory Academy Invitational two years after the youth academy started to expand) and has since grown exponentially. What started out as a small local tournament with a few futsal teams and a few club teams is now expected to be one of the biggest futsal tournaments in the midwest with over 125 teams from four states and two countries. 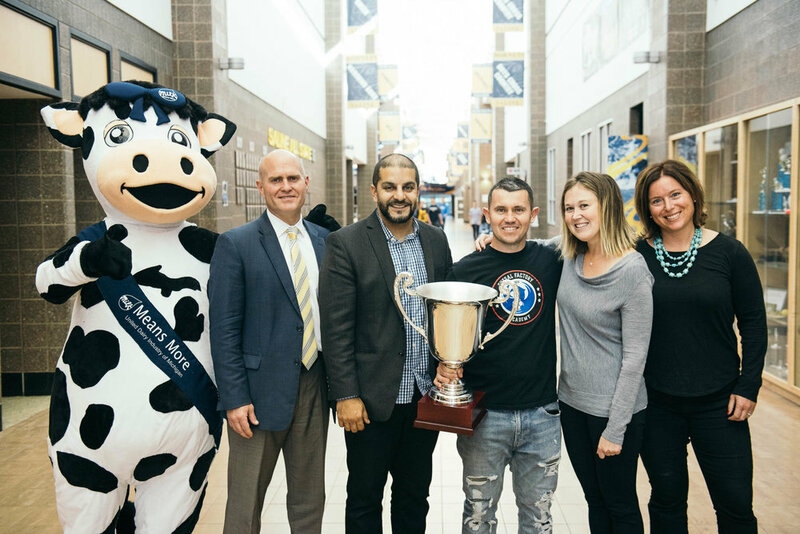 In 2017, after moving the tournament to Washtenaw County (Saline + Ann Arbor) the tournament was renamed the Chocolate Milk Futsal Cup in partnership with the United Dairy Industry of Michigan with the Ann Arbor Sports Commission signing on as the tournament's presenting sponsor. The Ann Arbor Sports Commission (SportsAnnArbor.org) attracts amateur and professional sporting events to the Ann Arbor region by assisting organizers every step of the way. Events such as the Chocolate Milk Futsal Cup, the LPGA Volvik Championship, and the U.S. Figure Skating Eastern Great Lakes Regional appeal to both sports enthusiasts and participants alike. Thanks to its accessibility, range of facilities, and vibrant community, the Ann Arbor area is a favorite of sporting event organizers.